It’s kind of amazing to see where your mind will take you when you let yourself be a blank slate. 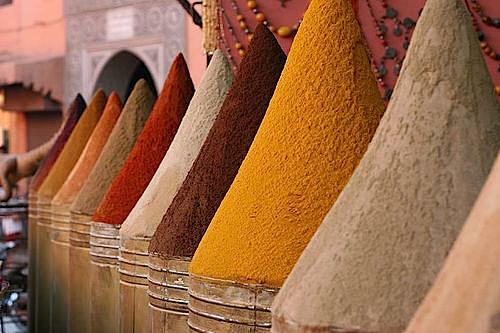 What began as a simple daydream is now one of my main reasons for going to Morocco, and it just keeps growing. Initially, I had no intention of doing anything major (or doing anything at all, for that matter) while pursuing my post-grad expat awesomeness in Marrakesh. I just wanted to live there for a few months, soak up local color, pick up a few trinkets and be on my merry way to law or graduate school (still can’t choose between the two). I’m now thinking of staying an entire year, if not longer, provided what I’d like to pull off actually gains any traction outside of my head. I so want to share my ideas with everyone, but now is not the time. As fun as it is to think about, I can’t too far ahead of myself. It will be a few more months before I’ll be set to leave, and anything I do once I’m there will be related to exploring and getting settled in. I will fill everyone in later, though. Also, since my blog is so boring at the moment, I’ve decided to start adding Morocco-related content on each entry until I have the time to make the blog more interesting. Stay tuned. « the cost of doing what you want.